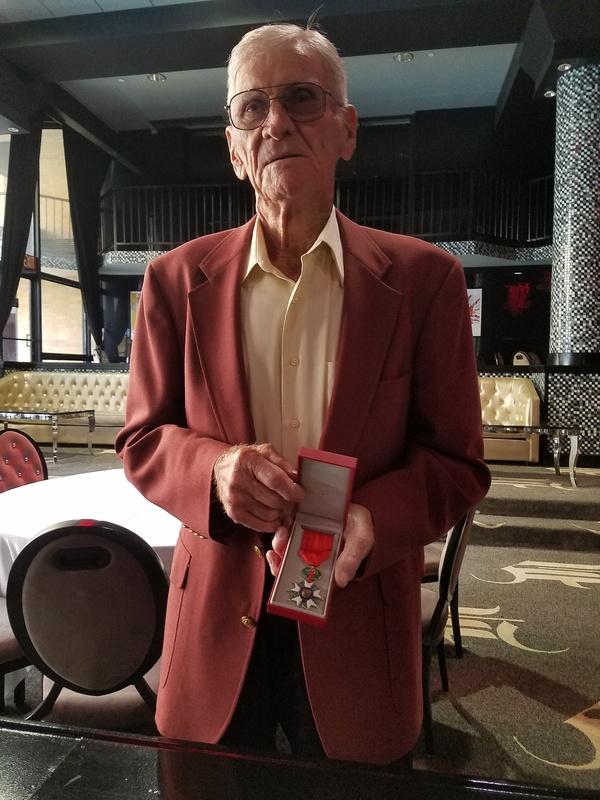 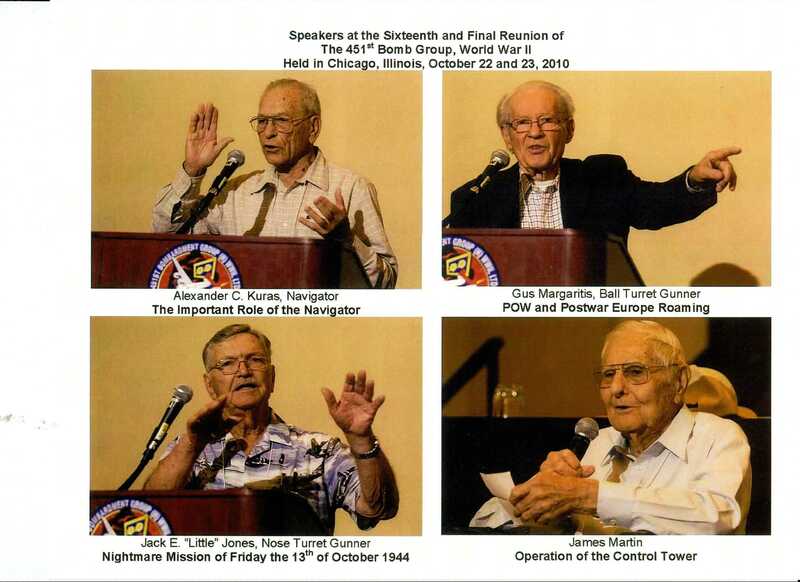 The 98th, 376th, 451st, 455th, 460th, 461st, 464th, 465th, 484th and 485th Bomb Groups met in Dayton, OH this year. 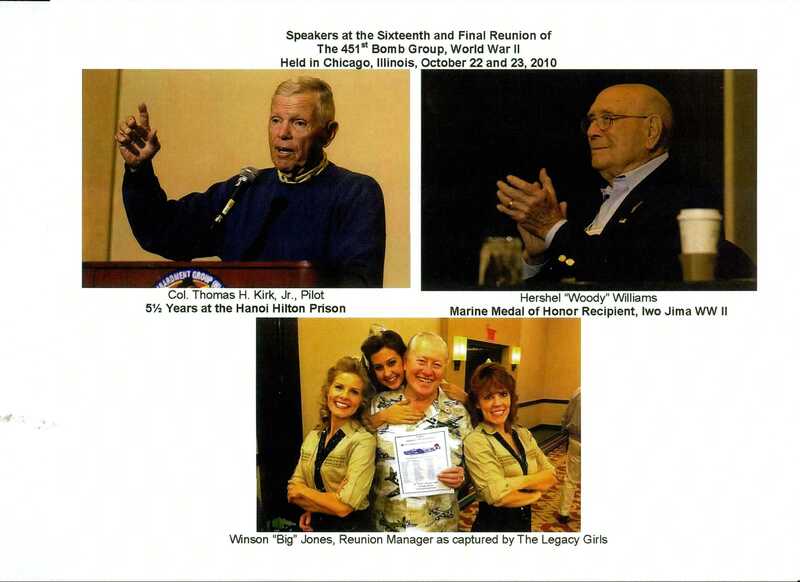 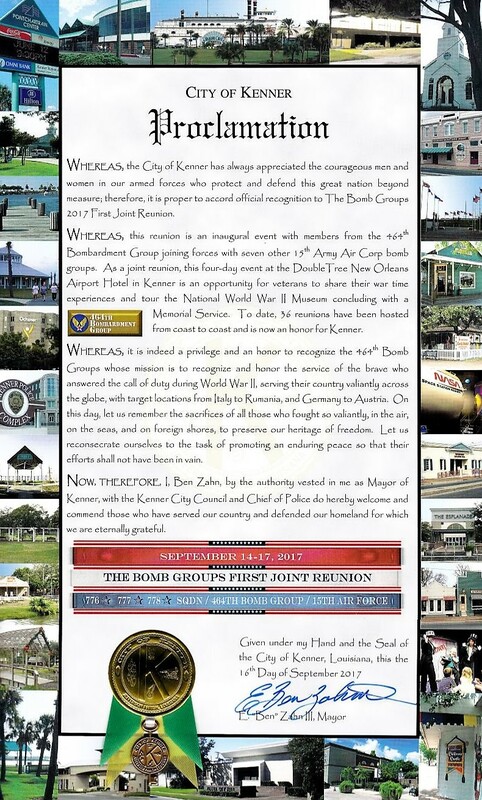 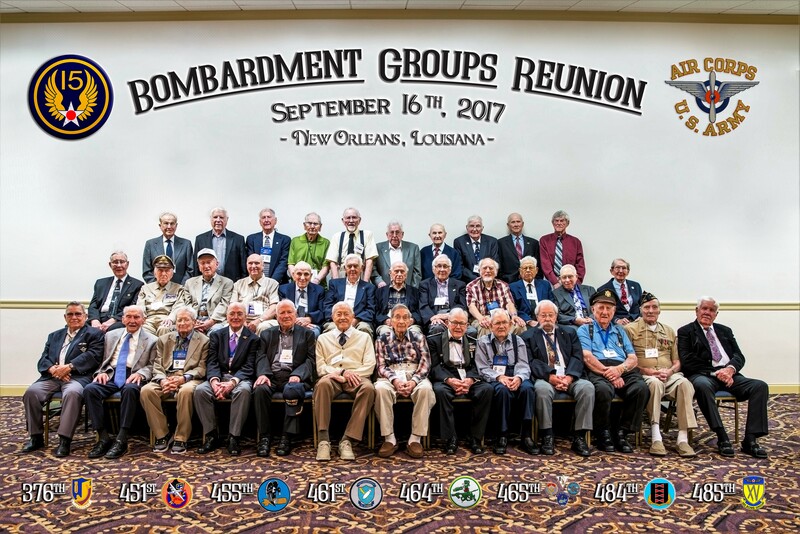 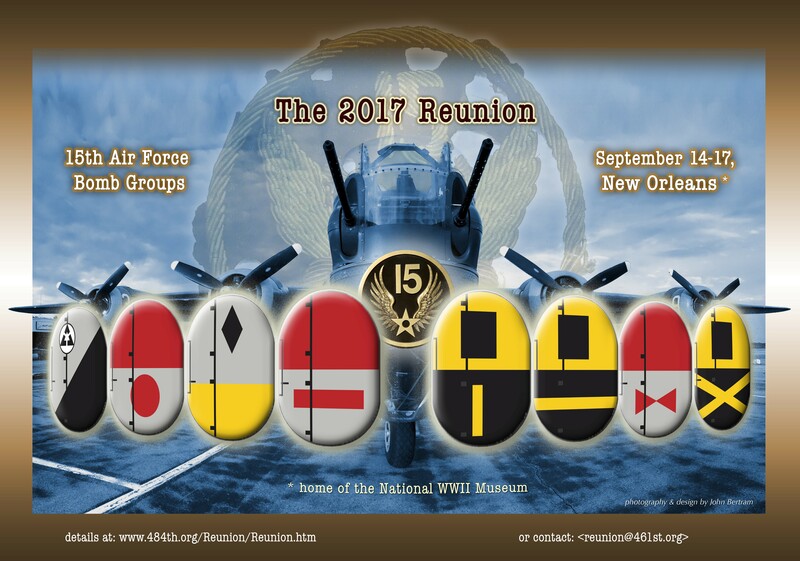 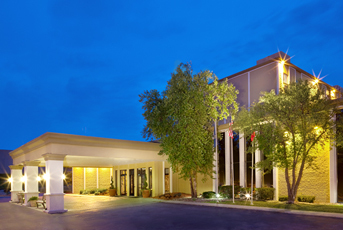 The 376th, 451st, 455th, 461st, 464th, 465th, 484th, and 485th Bomb Groups met in New Orleans/Kenner, LA. 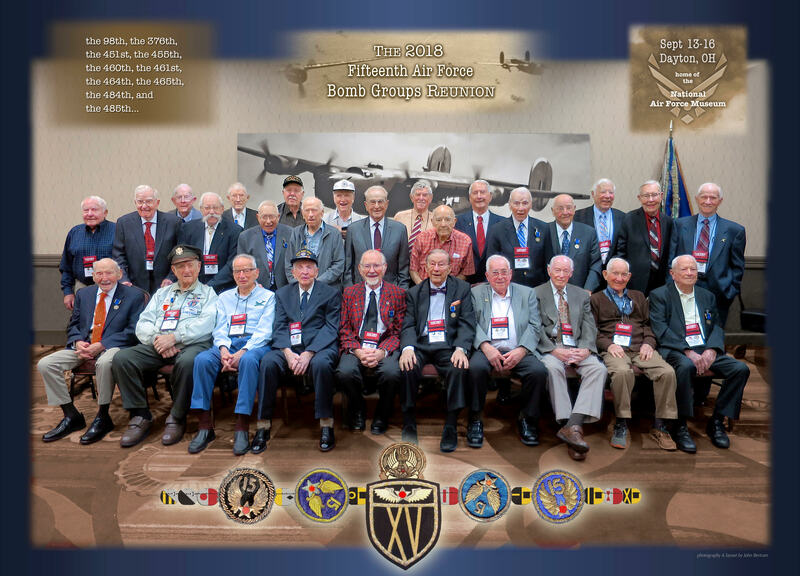 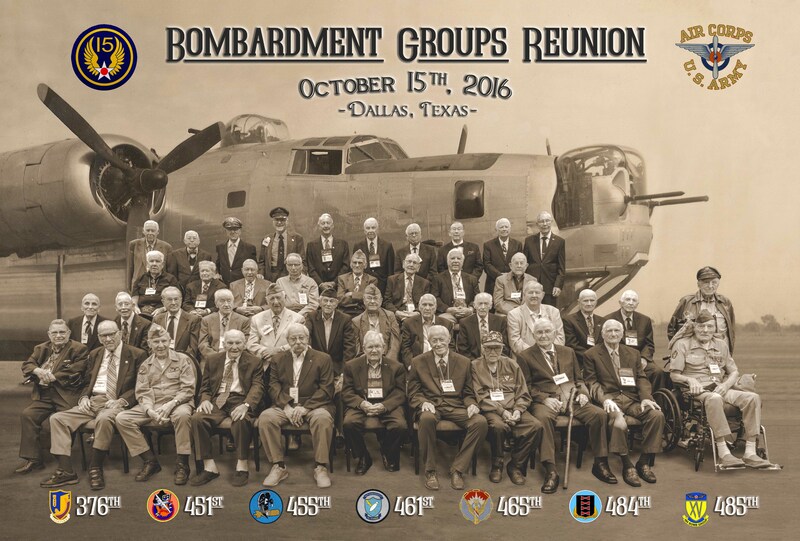 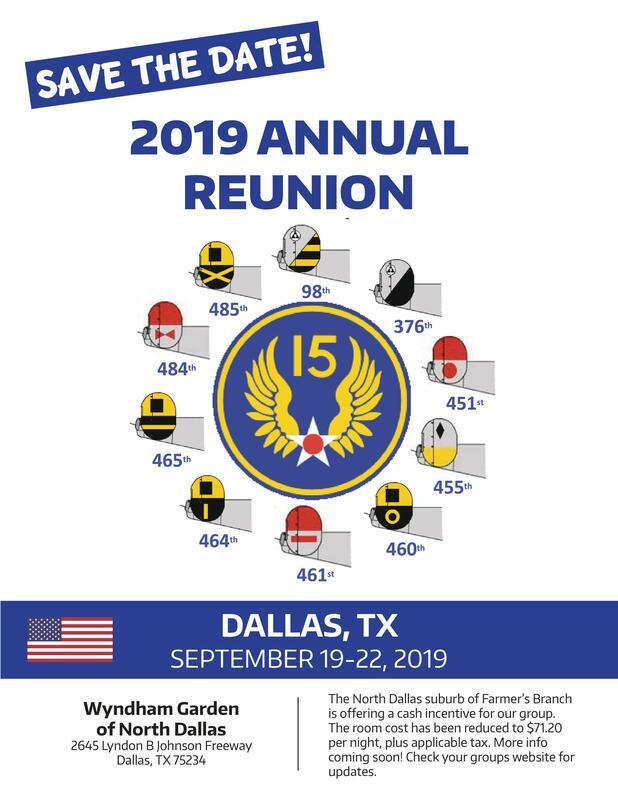 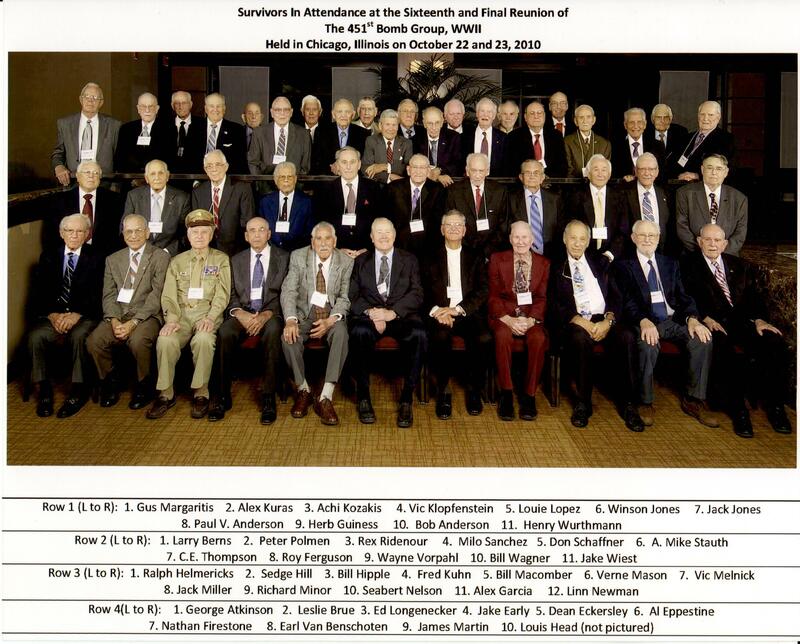 The 376th, 451st, 455th, 461st, 465th, 484th and 485th Bomb Groups had a joint reunion in Dallas, TX. 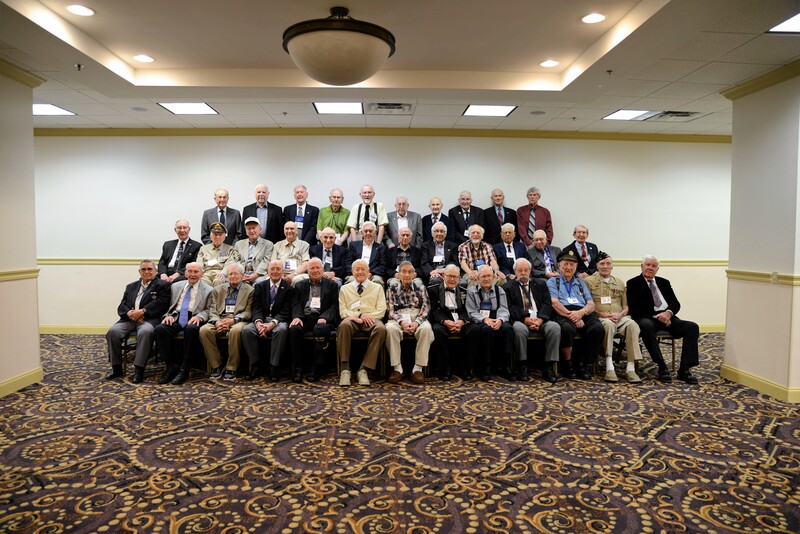 Veterans attending this reunion and a modified version of the same photo (thanks to Danny Wasserman for these photos). 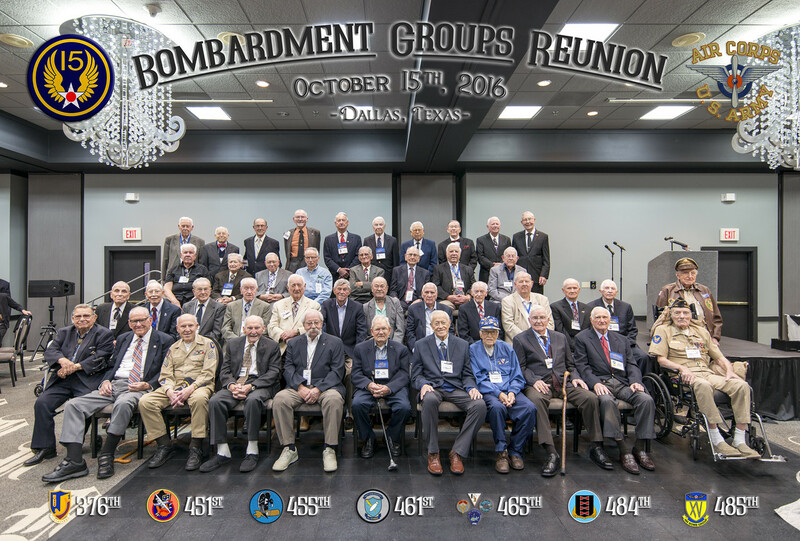 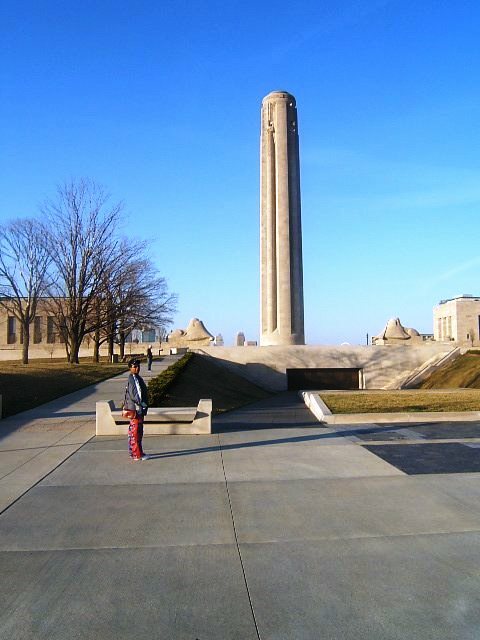 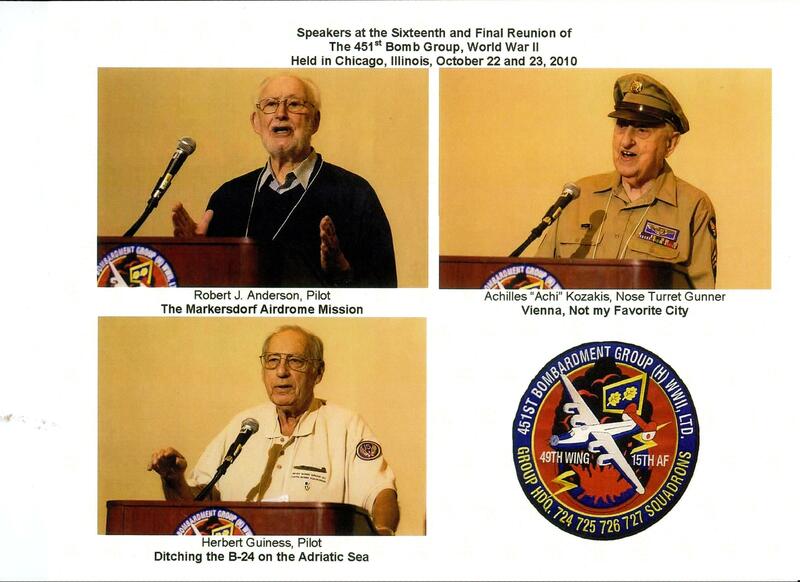 The 376th, 451st, 455th, 461st, 465th, 484th and the 485th Bomb Groups had a joint reunion in Kansas City, MO.